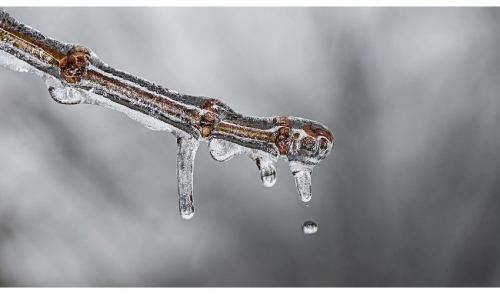 Spring Maintenance: What to Look for After the Snow Melts | Northwoods Lumber Co.
A blanket of snow may be pretty to look at, but what is it covering up? The harsh winter weather takes a toll on the exterior of homes and yards, while much of the damage and debris is hidden until spring. Once the snow melts and the moderate temperatures are upon us again, it is a good time to take a walk around the property. Grab your jacket, a clipboard if you’d like, and a pair of binoculars (you’ll see why in a minute) before heading out for your stroll. Below, we’ll discuss what to look for on your spring maintenance walkabout. Your roof is the most abused part of your house during the winter. Don’t worry about climbing, though. Check for obvious things like leaks from the attic. Otherwise, take that pair of binoculars and see if anything looks amiss. Search for cracked, crooked or missing shingles. Nail pops usually are indicated by a shingle tab being pushed up by the head of the nail below. The shingle tab will give a slightly raised "eyebrow" appearance from below. Water is likely to seep around the raised nail. If anything looks damaged, it should be addressed. Other things that should be checked are the gutters and chimney(s). A certified chimney sweep will not only clean out your chimney, but will ensure that the chimney caps, masonry and damper are in good working order. Is there any damage to your siding? Look all around the outside of your home, especially under the eaves and near gutter downspouts. Look for signs of water staining which will indicate a leak from above. For wood siding, check for popped nails and knot-holes. These and any other openings will only provide easy access for bugs and other pests that will want to move in. For stonework and masonry, including foundations, look for cracks or missing pieces at the joints. Are there any signs of vegetation growing around the joints? That’s a sure indication of moisture getting in. If there are any signs of a white chalky deposit, known as efflorescence, it indicates that the masonry is absorbing water, rather than repelling it. Efflorescence does not necessarily indicate a structural problem and is mostly considered a cosmetic issue. If it is present, you may consider sealing the area with a clear waterproof barrier suited for masonry. Take a glance at your windows for problems. The binoculars can come in handy for the attic windows. Is the glazing intact? Look for broken panes up high and repair them as soon as you can, before springtime wildlife decides to take advantage of the breech. The freezing and thawing of water, as well as salt can be hard on driveways and sidewalks. Take a look and address any holes or cracks that have occurred. If you notice bigger problems like frost heaves, sink-holes and deep cracks, you may consider contacting a contractor. If your concrete looks to be in good shape, it still may be a good idea to apply a fresh coat of sealant to keep moisture at bay. Any exposed wood outdoor structures like decks, privacy fencing and latticework should be inspected for damage. Look for warping, popped nails and loose boards. Does your deck only need a washing or is it time for stain/sealer? Take a look at your shrubbery and trees. Remove any broken or fallen branches and allow for the new growth. It’s also good to note that during the early spring, while little has grown back yet, it’s the best time to plan any changes you like to make with your landscaping. Sketch things out now, so that when the warmer weather hits and the ground thaws, you are ready to start digging.